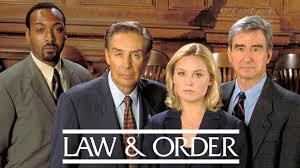 That two-beat chime that kicks off the iconic franchise Law & Order lets you know you are about to witness some serious misdeeds and solid lawyering. The original series lasted for twenty seasons and literally spawned a genre of television with multiple and currently ongoing spinoffs. But even more dramatic than the plot twists and last-minute-reveals is how the franchise changed how we look at trials, attorneys and justice. Brad Parker, a personal injury lawyer in Bedford, has been a leader in the North Texas and state legal community for more than three decades now. From witnesses to experts to plaintiffs, Parker Law Firm has seen the Law & Order effect occur time and again, even though we practice on the civil side of the system. Justice moves swiftly – With just under 50 minutes to tell a compelling, ripped-from-headlines story, viewers are accustomed to a speedy resolution. In a personal injury case, speed isn't your friend. You want your attorney to take the time to thoroughly review your case, review medical records and invest the time necessary to read your case for trial. Then, it can often run between one- and two years’ time before a case is resolved, whether through trial or a settlement. Attorneys are for the rich – Every other episode, you see some slick, sleazy attorney waltz into the DA’s office while low-income suspects sit in jail. But that’s simply not the case with a personal injury attorney, who is paid on a contingency basis. That means the attorney is paid from the settlement received – or not at all. There is no financial risk to hiring the right attorney, although there is plenty of financial risk from NOT hiring one or hiring the WRONG one! Twist! – From a critical piece of evidence to a confession from the witness stand, twists on this show deliver the emotional highs and lows we want from a television show. But, in real life, witnesses don’t recant full statements after two softball questions. Rarely is anyone waiting to drop a bombshell of information that changes the course of the trial. During trial preparation, that’s when the information is organized and gathered. But watching attorneys push paperwork across their desk doesn't make for such compelling television! Not always, but often, justice prevails – With a quite satisfying whack of the gavel, the bad guy quite often got hauled off to prison. But in a personal injury case, it’s not that straightforward. Our clients are seriously hurt or have a loved one who is killed. Lives have been permanently sent off course due to the negligence or stupidity of others. While a settlement can offer comfort and reduce medical bills, nothing puts your life back together like it was before the crash or injury. Sadly, in real life, cases don’t wrap up so neatly. 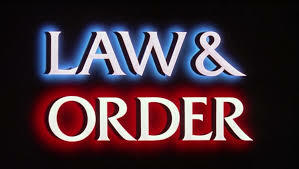 One attorney to rule them all – These lawyers can handle anything the police pass off to them! Doesn't matter the type of case; they know the ins and outs perfectly. While that may be true on the criminal side, on the civil side, it is not the case. Successful attorneys often have very narrowly defined and distinct areas of practice. This makes sense when you think about it because different types of cases have different rules, guidelines, and deadlines. You want an attorney who becomes a master of one, not a jack of all trades. If you've been hurt in a car crash or serious accident, don't depend on your in-depth knowledge of Law & Order to see you through. Give us a call at 817-503-9200, and we will help you or connect you with the right attorney for your case.